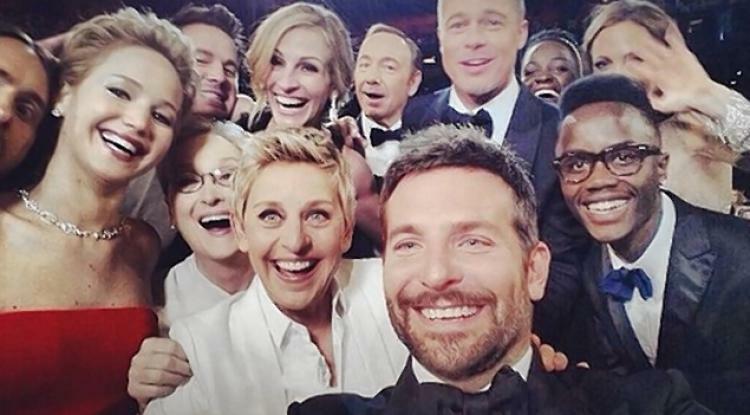 Remember this famous tweet? 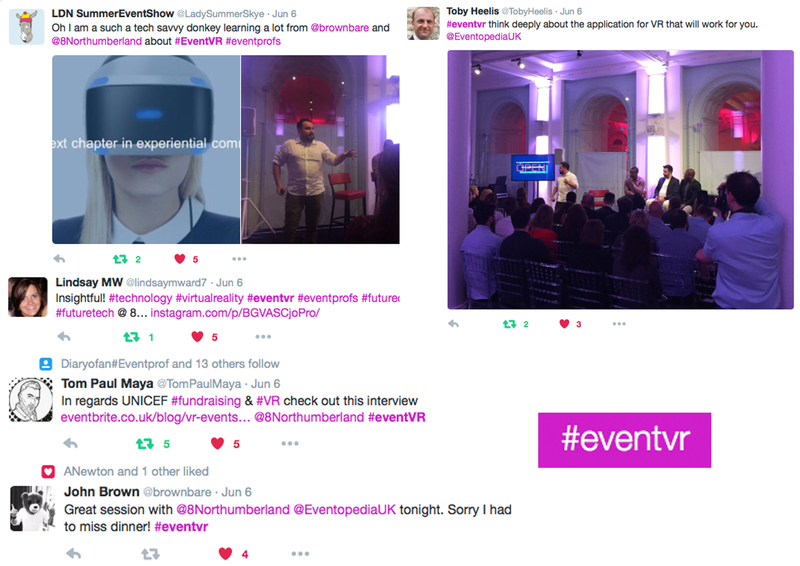 We have put together our tips to get your event noticed on social media. reassuring potential guests that your event is worth the investment, is vital. 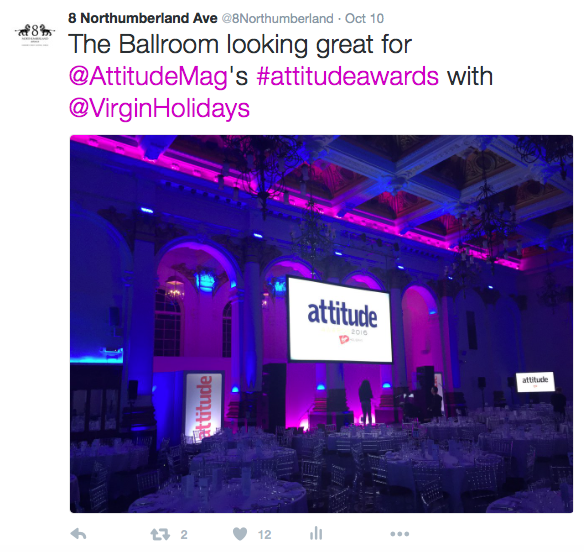 Is your event lacking that pre-event ‘buzz’? Do you need to build interest in the run up to the main event? After a hectic month of back-to-back events at our events venue in central London, we want to share our first hand experiences on social media engagement with you for maximum optimisation. One of the best ways to get your guests/potential guests interested in your event is to show them what they missed out on previously. If they are returning guests then it reminds them of what a great time they had and could lead them to share their own media and experiences from the previous year. Video is only getting bigger on social media and it’s well worth the investment to have someone make a video of your event. Live streaming is growing so use Periscope to live stream from Twitter or use Facebook Live to show off the event. Don’t forget your audience demographics and upload it to both YouTube and Vimeo. Once it’s created you can share it across all social media channels. A testimonial is a great way to prove your event is worth the time and money. People like to see what they are getting for their money and in a society where everyone is time poor; reassuring potential guests that your event is worth the investment is vital. Overlaying your quote on an image reinforces what it says. Extra points if you have video testimonials! It may seem obvious but a lot of event planners overlook this and underestimate the power of a hashtag. It’s not just for Twitter; you can now use them on Facebook and Google+ so take advantage and use it across all channels. Communicate your hashtag on the tables at your event and keep up the hashtag during and after your event. This will be a great basis for your next event. To get the hashtag circulating at the event, it was written on a small card that was placed on everybody’s seat. 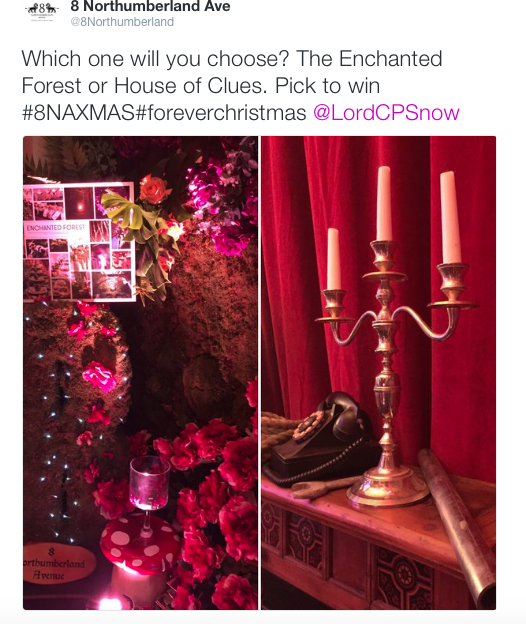 Example: Here at our events venue in central London, we ran a competition for the London Christmas Party Show where the guests tweeted us with their choice of our two Christmas party themes and went into a prize draw. Winners were taken on a beautiful day out to the Nyetimber vineyard in Sussex. How can you put this into practice for your next event? Email marketing@8northumberland.co.uk to register your interest in our social media workshop.